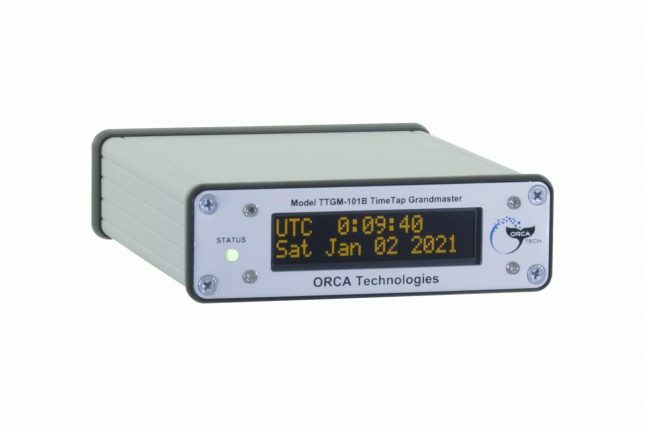 The Model TTGM-101 GPS/Time Code Synchronized Generator and PTP Grandmaster is a low cost high performance unit that provides many features typically found on higher cost units. When operated in the GPS mode, time and rates are precisely referenced to UTC. for applications utilizing GPS or time code input to generate IEEE-1588 PTPv2, SNTP or various time codes. 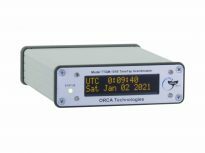 Time and rate outputs are precisely referenced to GPS or time code input. The TTGM will also synchronize to a 1PPS input. In addition to PTPv2 and SNTP operation, IRIG A, B, G and NASA36 time code outputs, time is available on the USB port. Limited SNMP trap operation is also standard on this versatile unit. 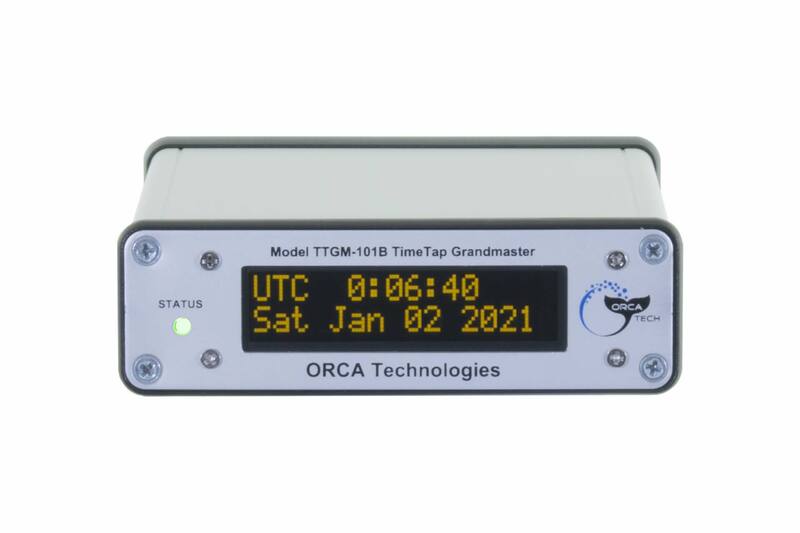 The TimeTap will synchronize to the selected reference to less than 1 microsecond and can provide local or daylight savings time with settable timing offsets. The TimeTap can also provide the IRIG time codes to drive external time displays. 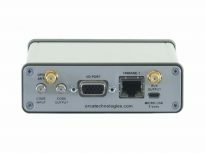 This unit can be paired with the TT-101 for PTP synchronization over a network as well as time code synchronization. 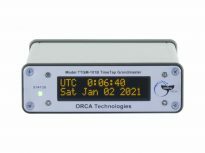 Computer synchronization can be accomplished with Domain Time II software available through ORCA Technologies. This versatile product also has a 1PPS Time Interval Measurement feature that will graph the difference between the TTGM’s 1PPS and an external 1PPS rising edge. 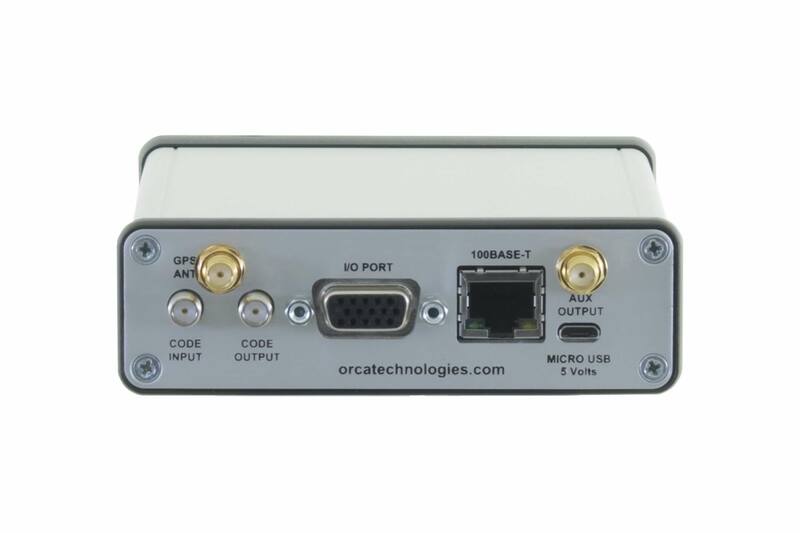 The TTGM-101 PTP implementation is compatible with and has partial compliance to the IEEE-1588 PTPv2 standard.